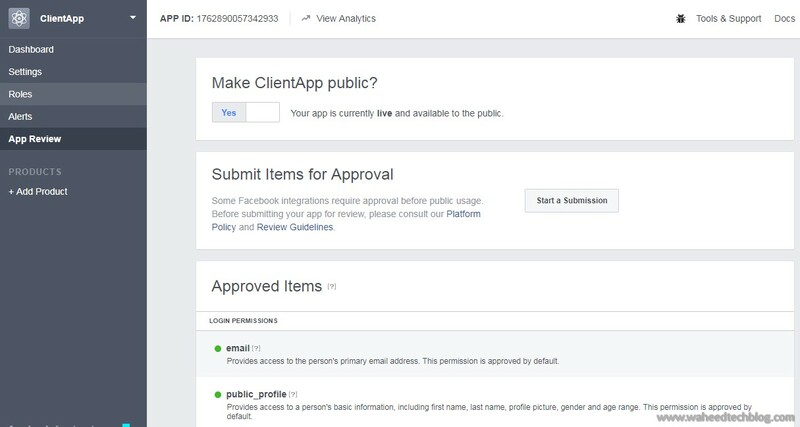 This guide walks you through the steps of registering an application to integrate with Facebook. From http://developer.facebook.com, click on "My Apps" at the top of the page to go to the application dashboard. The dashboard shows a list of applications that the developer has already created or you can create a new one by clicking on Add a new App. A dialog prompts you to name your application. Enter Display Name, Contact Email and Choose a category from drop down list and click on Create App ID. After you click, Facebook performs a Captcha check to verify that you’re not setting up applications through an automated process. Once you’ve satisfied the verification process, your application is created. The next page you see is your application’s application page. Click on the Settings button and it will open you a setting page of your application. Now we can configure various details about our application. The choices you make here depend on what kind of application you plan to build and what you want your application to do. For IAM, we just need to add App Domains and Site URL. Click on + Add Platform and select Platform as Website and enter your Site URL. Site URL is shibboleth Idp URL and App Domains is the domain name of the URL. and click on Save Changes. The main thing to note from the application settings page is the App ID and App Secret near the top. These values are your application’s credentials to Facebook. We need these credentials to connect to facebook via Shibboleth Idp. and the last step, go to App Review → drag button to the left to make your application public. You will see message as "your app is currently live and available to the public"